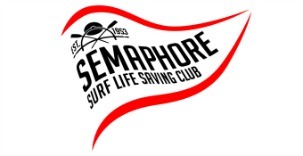 In these terms and conditions, “we” “us” and “our” refers to Semaphore SLSC. Your access to and use of all content on this website is provided subject to the following terms and conditions. 3. On registration, we provide you with a password and email. On registration you agree to pay for our services as set out on our website. 5. When you visit our website, we give you a limited licence to access and use our information for personal use. 8. The licence to access and use the information on our website does not include the right to use any data mining robots or other extraction tools. The licence also does not permit you to metatag or mirror our website without our prior written permission. We reserve the right to serve you with notice if we become aware of your metatagging or mirroring of our website. 9. This website may from time to time contain hyperlinks to other websites. Such links are provided for convenience only and we take no responsibility for the content and maintenance of or privacy compliance by any linked website. Any hyperlink on our website to another website does not imply our endorsement, support, or sponsorship of the operator of that website nor of the information and/or products which they provide. 10. You may link our website without our consent. Any such linking will be entirely your responsibility and at your expense. By linking, you must not alter any of our website’s contents including any intellectual property notices and you must not frame or reformat any of our pages, files, images, text or other materials. 11. The copyright to all content on this website including applets, graphics, images, layouts and text belongs to us or we have a licence to use those materials. 12. All trade marks, brands and logos generally identified either with the symbols TM or ® which are used on this website are either owned by us or we have a licence to use them. Your access to our website does not license you to use those marks in any commercial way without our prior written permission. 13. The information we provide on this website is of a general nature only. We are not providing professional advice and you should obtain professional or specialist advice that is appropriate to your circumstances and we give no warranty and accept no liability should you use the information without obtaining independent advice. 14. We give no warranty that the information is free from error or omission and you should use your own care and skill when accessing and using it. 16. We take all due care in ensuring that our website is free of any virus, worm, Trojan horse and/or malware, however we are not responsible for any damage to your computer system which arises in connection with your use of our website or any linked website. 17. From time to time we may host third party content on our website such as advertisements and endorsements belonging to other traders. Responsibility for the content of such material rests with the owner of that material and we are not responsible for any errors or omissions in such material. 18. To the full extent permitted by law, our liability for breach of an implied warranty or condition will not be greater than the amount you paid to access our website. 19. By accessing our website, you agree to indemnify and hold us harmless from all claims, actions, damages, costs and expenses including legal fees arising from or in connection with your use of our website. 20. These terms and conditions are to be governed by and construed in accordance with the laws of South Australia and any claim made by either party against the other which in any way arises out of these terms and conditions will be heard in South Australia and you agree to submit to the jurisdiction of those Courts. 21. If any provision in these terms and conditions is invalid under any law the provision will be limited, narrowed, construed or altered as necessary to render it valid but only to the extent necessary to achieve such validity. If necessary the invalid provision will be deleted from these terms and conditions and the remaining provisions will remain in full force and effect. 22. We undertake to take all due care with any information including Comments which you may provide to us when accessing our website. However we do not warrant and cannot ensure the security of any information which you may provide to us. Information you transmit to us is entirely at your own risk although we undertake to take reasonable steps to preserve such information in a secure manner. These Terms and Conditions have been specifically drafted for, and provided to Semaphore SLSC by LawLive Pty Ltd (www.lawlive.com.au).